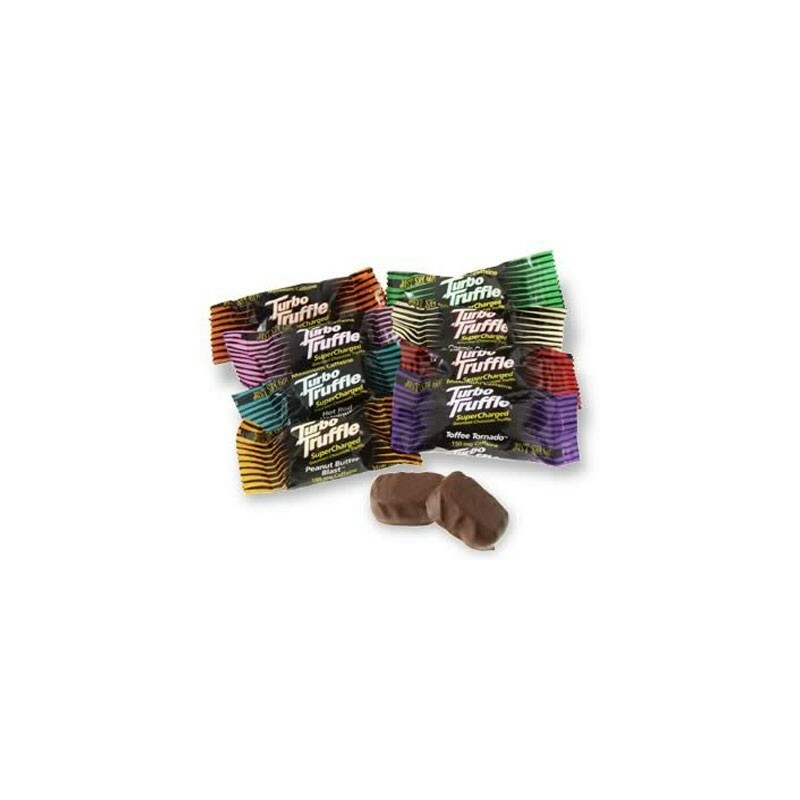 You can select among the following awesome flavors: Coffee Craze, Cosmic Coconut, Hot Rod Hazelnut, Chocolate Mint Madness, Outrageous Orange, Peanut Butter Blast, and Toffee Tornado. Turbo Truffles taste like a chocolate should taste, delicious. Unlike alot of other overly caffinated products there is no aquired taste needed, just buy then enjoy. I'd never had Turbo Truffles before. I'm familiar with Rocket Chocolates--these taste better. I also like that Turbos print the amount of caffeine in each truffle on the wrapper. One downside, they are pretty soft and squish out of shape easily. Still taste yummy though--ESPECIALLY the coconut chocolate--OMG! So good! These are alright, its just the taste that i dont like. I prefer not to taste the caffeine in something, because caffeine is very bitter. 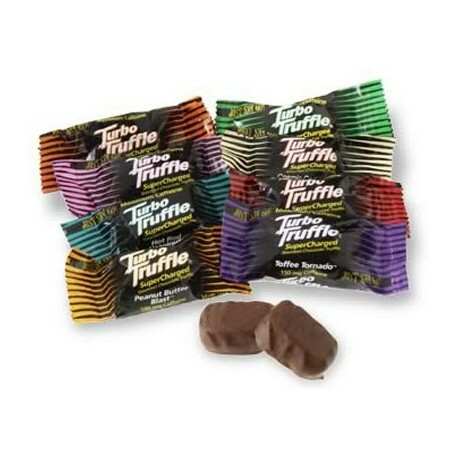 I was disappointed by Turbo Truffles. If you dont pick the right flavor, maybe 1 or 2 right flavors out there, you will taste the bitter caffeine. You cant go wrong with these badboys, I always keep some in the office in the desk for a good snack and a boost on that rainy day. Very nice.